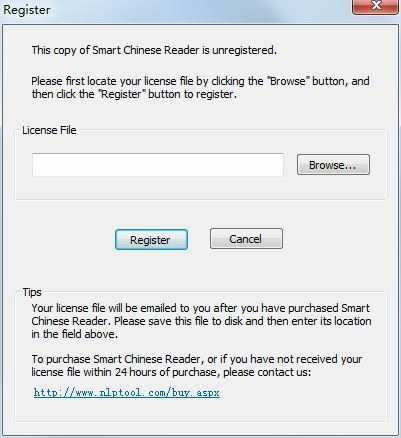 No separate download is required, you will simply be sent a license file via email which you can use to register your copy of Smart Chinese Reader. 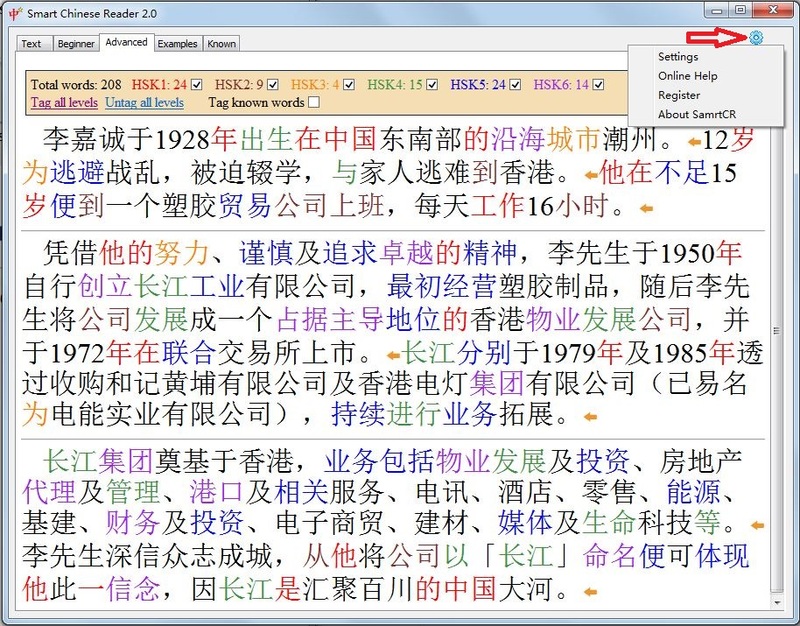 If for any reason you’re not satisfied with Smart Chinese Reader and don't want to use it anymore, you can get your money back in the first 30 days of purchase. Just contact us sales@nlptool.com , we will offer a full refund, no questions asked. When will I receive my license file? For your security, customers who place orders when traveling outside of their country may require 24-48 hours for PayPal to authenticate your payment. Thanks for your patience. After receiving the license file, click the Settings & Help icon, a menu will be popped up. Select the Register item from the menu. Copyright © 2016 nlptool.com, ALL RIGHTS RESERVED.